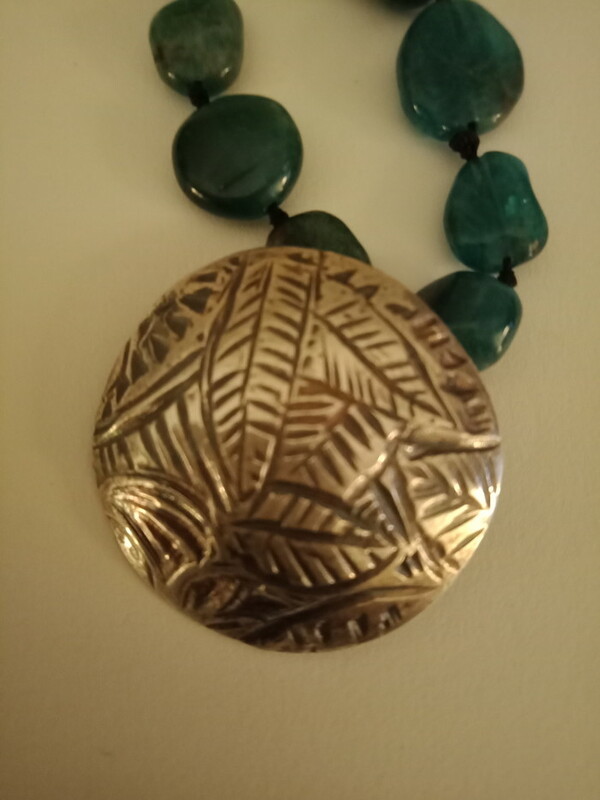 Lush Forest necklace has been created and designed in my home studio. 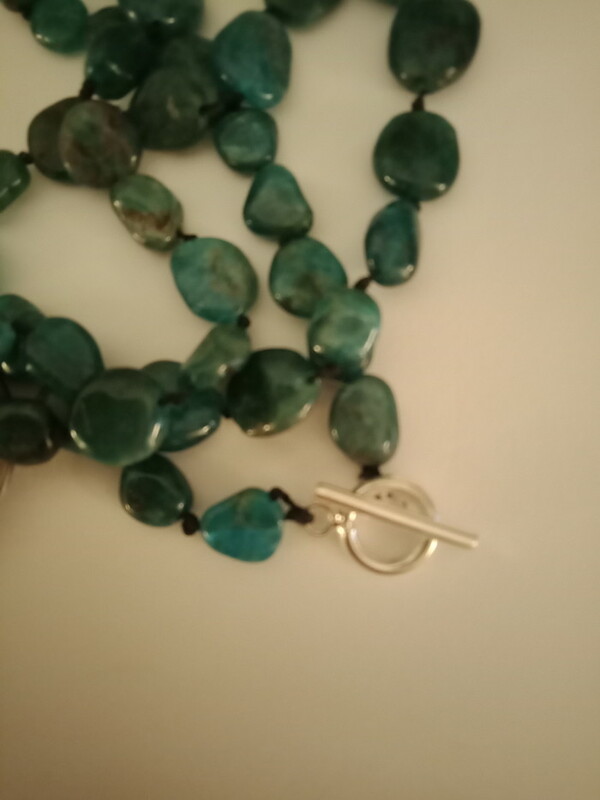 The gorgeous dark aqua blue green gemstones are an exquisite colour that is a stand out of timeless beauty. 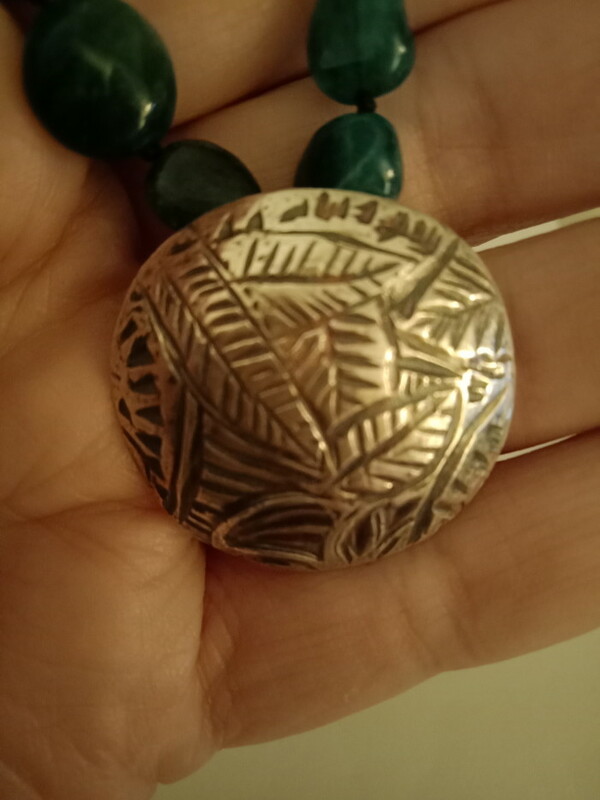 The pendant is designed and and hand carved in my studio from fine (999) silver with lushes leaves of the Australian river banks. 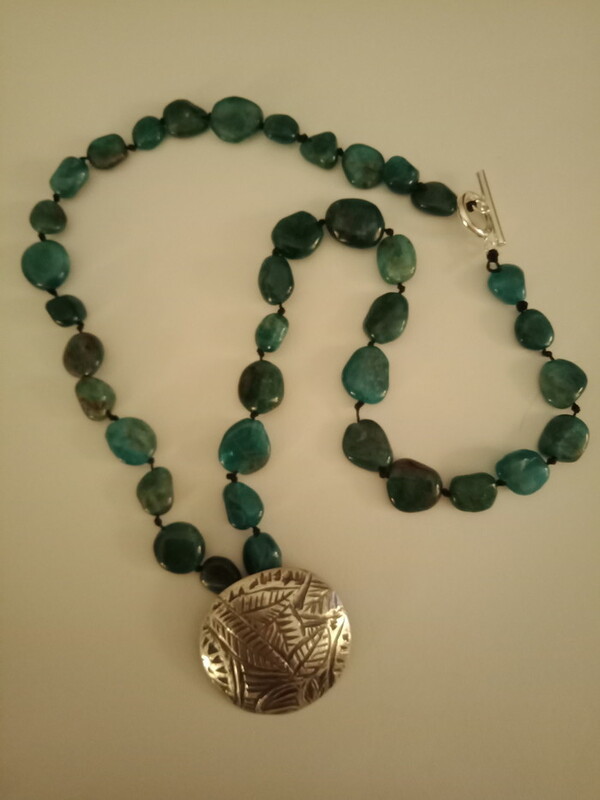 A simple silver plated toggle is used for the closure and knotted jewellery quality cord is used to keep softness and flow of this piece, making it very comfortable and long wearing. 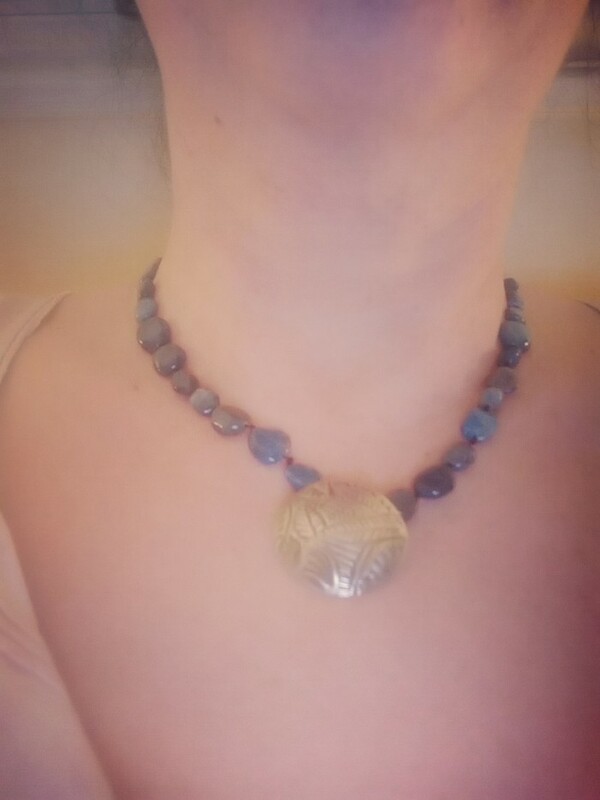 Apatite is a gemstone that is believed to help with calcium absorption and athritis and maintaining a healthy physical body. Be a head turner in this beautiful piece. Can you resist?